Hayao Miyazaki could get his second Oscar win with The Wind Rises, but Disney's successful Frozen is a tough competitor. Hayao Miyazaki is no stranger to American audiences, nor is he a stranger to Oscar nominations. His latest work, a Japanese animated historical fantasy film titled The Wind Rises, was nominated for Best Animated Feature Film. It will compete against The Croods, Despicable Me 2, Ernest and Celestine, and Frozen. 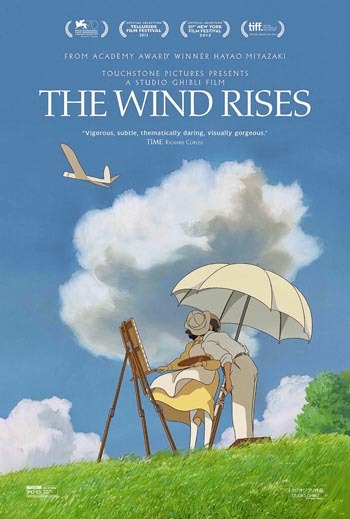 The Wind Rises is an animated film adaptation of Miyazaki's manga of the same name, which he loosely based on the short story The Wind Has Risen. The animated feature is a fictional biography of Jiro Horikoshi. Jiro's poor eyesight means he can never fly a plane, so he makes it his dream to build planes as an engineer, and this dream becomes a reality when he begins to work in aviation design as Japan moves toward World War II. The Wind Rises recently lost to The Great Beauty at the Golden Globes in the Best Foreign Language Film category. It has enjoyed great success in Japan, becoming the top grossing film in the country of 2013. The film has not been released in North America yet, but Disney will release the film in theaters starting Feb. 21 with an expanded release one week later under Touchstone Pictures. The Oscar screenings of The Wind Rises contained the original Japanese voices with English subtitles. Frozen won the Golden Globe for Best Animated Feature Film, beating The Croods and Despicable Me 2, both of which were nominated for the Oscars. In the past, only Miyazaki and Studio Ghibli's Spirited Away has won an Oscar (in 2002), and Howl's Moving Castle received a nomination in 2005. The Wind Rises is Miyazaki's 11th and final film.